O. J. Simpson is an American National Football League (NFL) player (running back), broadcaster, actor, and advertising spokesman. He is a convicted felon. 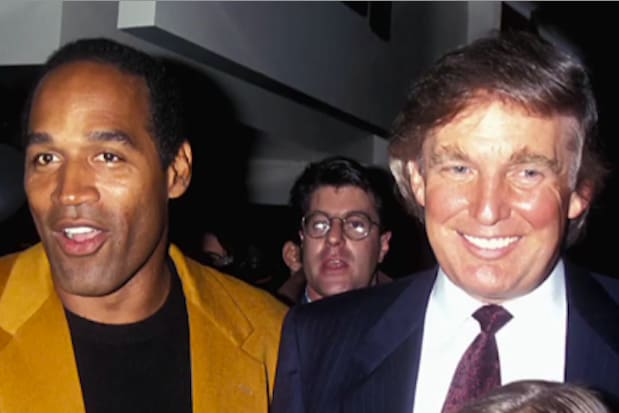 He was also tried and acquitted for the 1994 murders of his former wife, Nicole Brown Simpson, and her friend Ron Goldman. O. J. is the son of Eunice (Durden) and Jimmy Lee Simpson. His father was from Arkansas and his mother was from Louisiana. He has three children with his former wife, Marguerite L. Whitley; and two children with his former wife, the late Nicole Brown. O. J.’s paternal grandfather’s surname was Simpson. O. J.’s paternal grandmother was Pearlie Mae Potter (the daughter of Will Potter and Mattie Miles). Pearlie was born in Arkansas. Will was the son of Nick Potter and Flora. O. J.’s maternal grandfather was Dennis Durden (the son of Curtis Durden and Lucinda Bayliss). Dennis was born in Louisiana. Curtis was the son of Moore Durden and Mariah/Majiah. Lucinda was the daughter of Amos Bayliss and Adaline. O. J.’s maternal grandmother was Patsy Sewell (the daughter of Sam/Samuel Sewell and Kate/Katie Herndon). Patsy was born in Louisiana. Kate was the daughter of John Fredrick Herndon and Lou Patsy Charles. O. J. is a second cousin of professional baseball player Ernie Banks. Their maternal grandfathers were siblings. what is the ethnicity of the ex of him ?